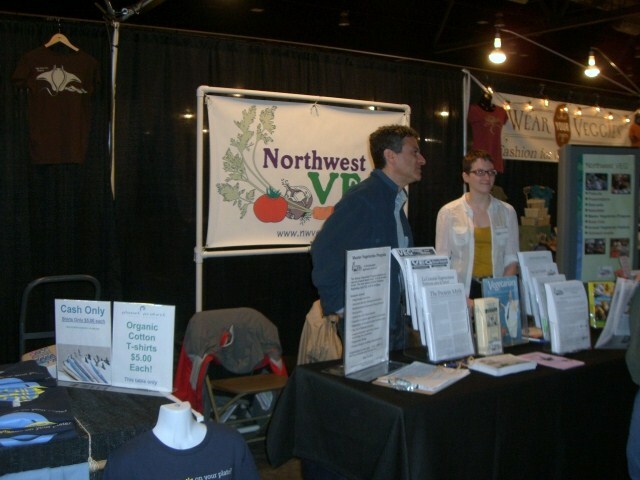 Our NW Vegetarian Society. Keep up the good work! 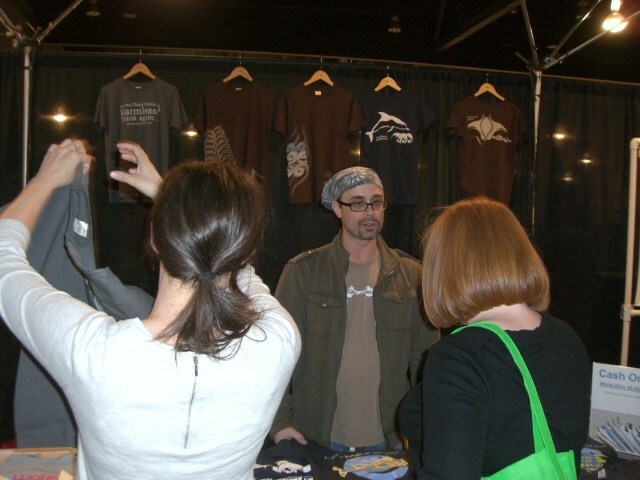 Jim the Organic Cotton T’s Vendor in the “Vegan Village”. 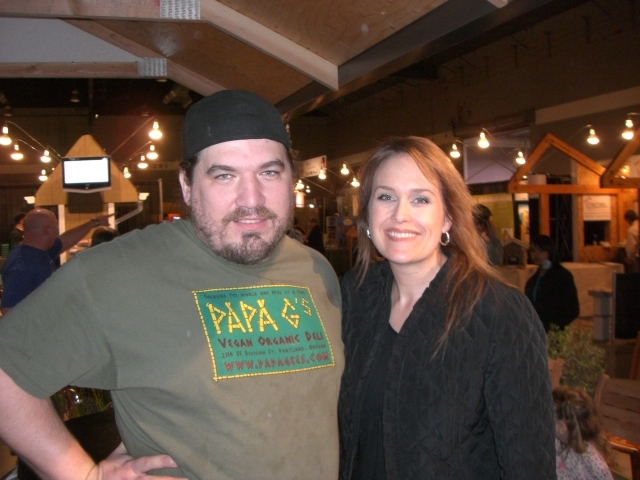 Portland’s own Chef, Grant Dixon, owner of Papa G’s Organic Vegan Deli did a yummy demo. 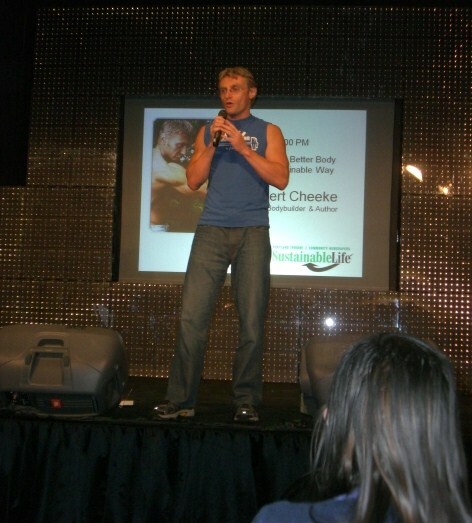 “How to Build a Better Body- The Sustainable Way”. 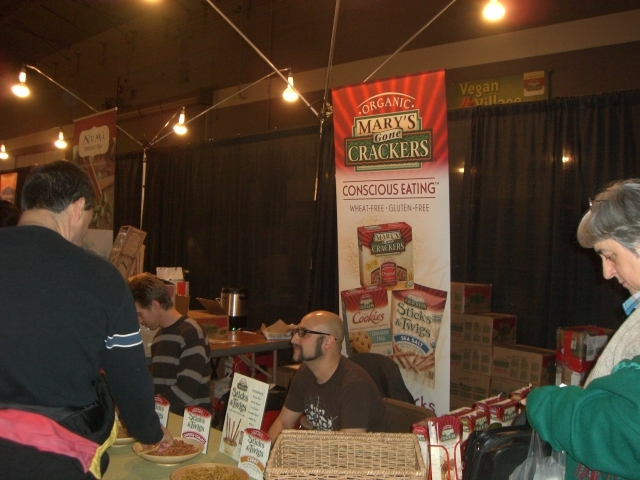 Mary’s Sponsored our little “Vegan Village”, such a proud moment to have these two rows! 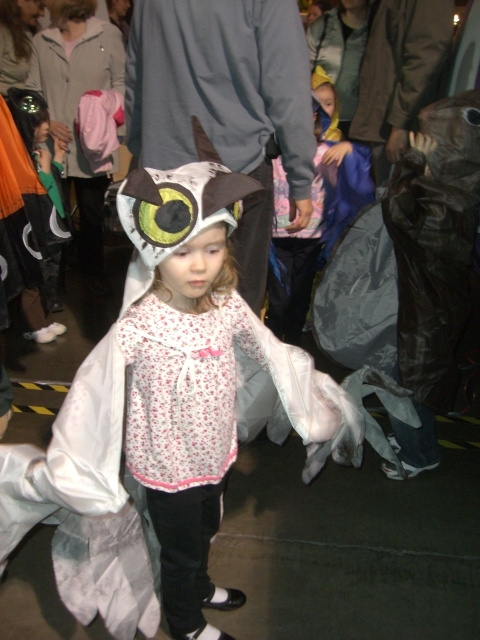 They had Owl “Hoot” and Mr.Salmon walk the aisles sharing hugs and their message to not pollute! The kids all got into their costumes and are now ready for story time. 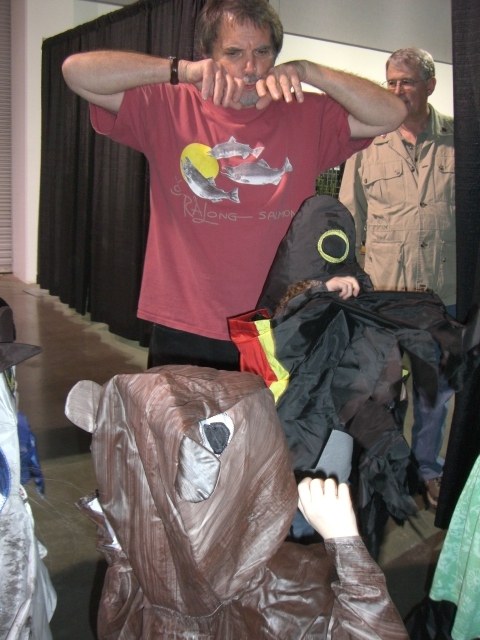 Once dressed the kids all marched in a parade around the big salmon tent. 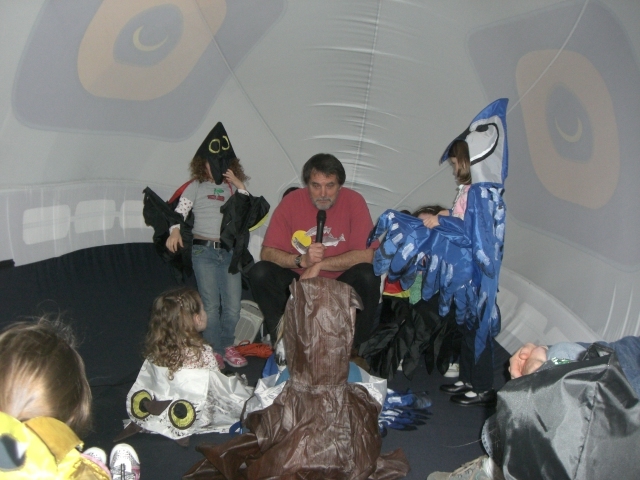 Story time with Master Storyteller Will Hornyak. It was so entertaining about the animals and pollution. What a way to end the day at the “Growing Gardens” booth. 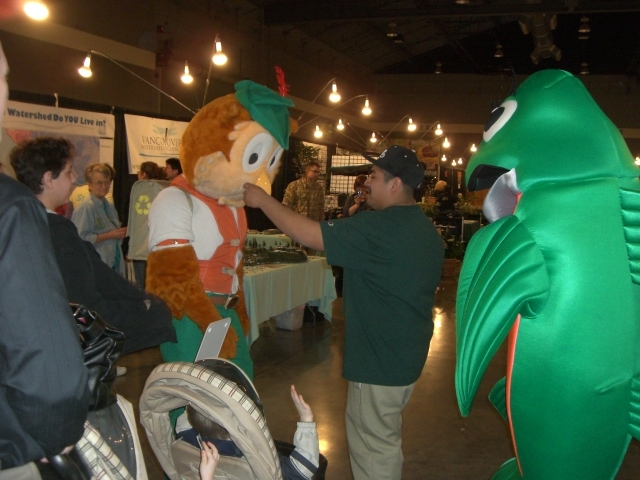 They offer family workshops on how to grow your dinner, munch and crunch and Super Seedlings. 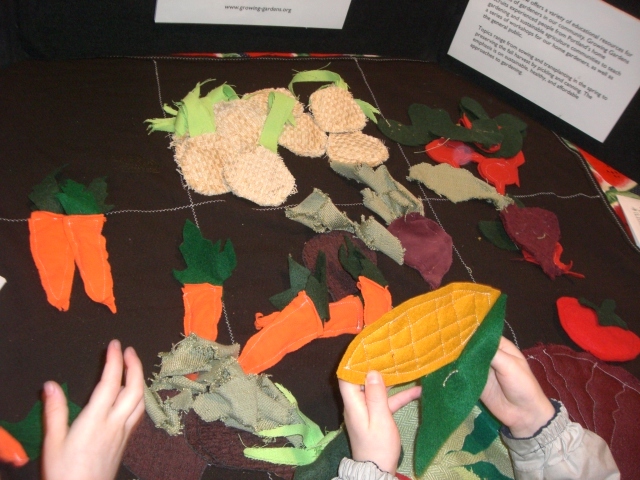 The kids loved their veggie game, pictured above. NW Natural presents a totally refreshed take on the show’s 1,100 square foot demonstration home. In partnership with Legend Homes and Progressive Builders NW, NW Natural invites you to experience affordable sustainability in new construction that doesn’t give an inch on style. Not leaving your current home? Take in many options to improve the warmth, comfort and style of your existing home today! Ford is proud to be the exclusive Automotive Sponsor of this year’s Better Living Show. Be sure to visit the Ford Drive Green Pavilion to learn about the latest in electric and hybrid vehicle technology and Ford’s commitment to providing sustainable solutions for the automotive industry. Ford will also provide an opportunity for you to personally experience their hybrid and electric vehicles with an on site Ride & Drive! 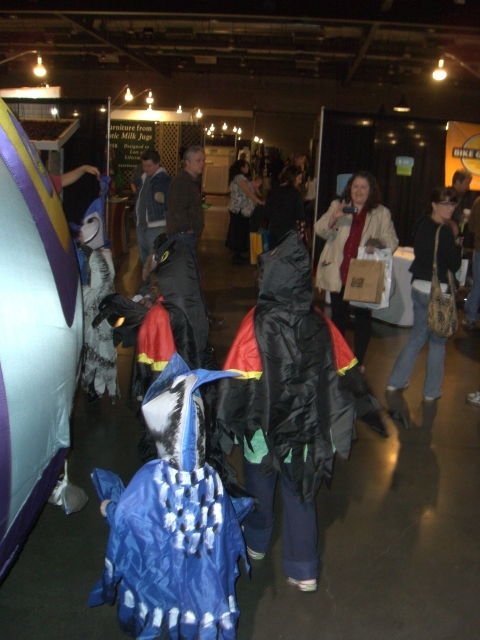 This entry was posted on Saturday, March 26th, 2011 at 8:28 PM	and tagged with Better Living Home Garden & Lifestyle Show, Food Demos, Fungi Perfecti, Grant Dixon, Growing Gardens, Mary's Gone Crackers, NW Vegetarian Society, Papa G's Organic Vegan Deli, Portland Better Living Show, Robert Cheeke, Sustainable Living, Vegan Body, Vegan Village and posted in Uncategorized. You can follow any responses to this entry through the RSS 2.0 feed.